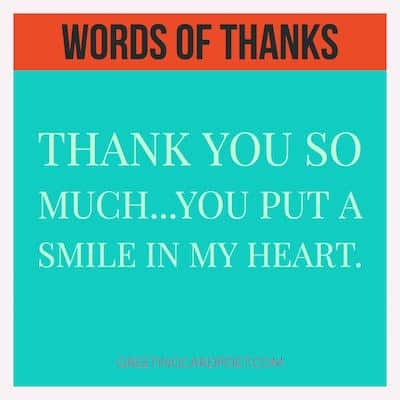 Expressing words of thanks is not only good manners, but the right thing to do. It validates the actions of the person that helped you. The world is a better place because there is always someone out there helping others. Someone is always trying to make this world a better place to live. Whether it’s through their actions or comments, these folks deserve our thanks. 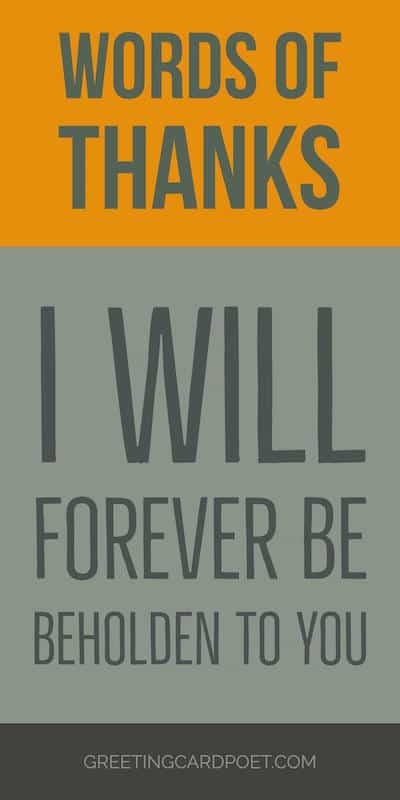 Saying thank you may not repay the good things someone did for you, it can certainly go a long way. 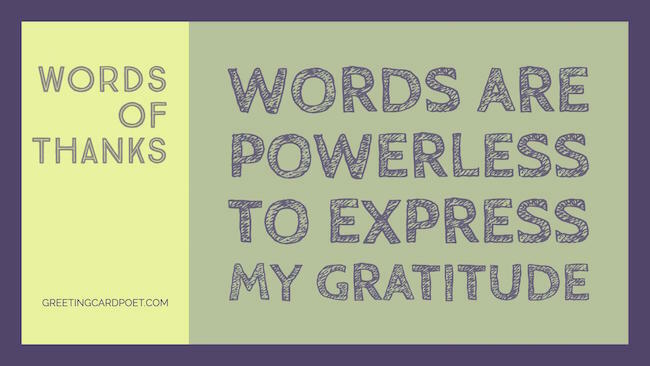 Whenever someone does or says something positive for you, make sure to express your appreciation. Here are some lovely choices that can be shared with people who helped you when you feel gratitude. 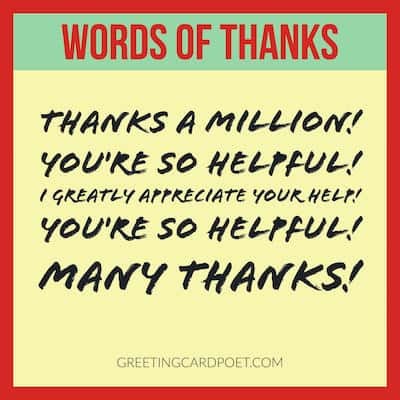 Whether you want to thank someone for helping you in time of need, you can find the right words here. A BIG thank you with a lot of love! Thankful and grateful to have you as a friend. We’d love to express our gratitude for your generous gift. You have no idea how much this has helped me. Thanks for the great time…and the great memories. 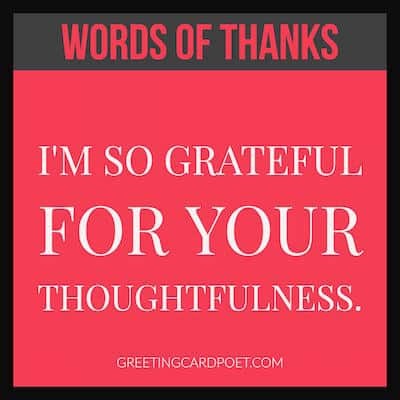 I am so grateful for the things you did for me. Our highest gratitude and appreciation – we are so grateful for your support. Magnificent! You’re a life saver! I’m humbled and appreciative for all you’ve done on our behalf. The world is full of wonderful things like you! Our highest appreciation for your kindness. At this difficult time, it’s so nice to feel appreciated. Check out our Thank You Images. Being thankful not only shows good manners, but a simple expression of thankfulness can go a long way in relationships and communication with others. It not only enhances our own lives, but makes other people feel appreciated. You were there for me during a very difficult time. Thanks! It was so awesome of you. I will forever be beholden to you. I will never forget what you have done. I’m so grateful for your thoughtfulness. Thank you for the gift. You put a smile in our hearts. I think you know me better than I know myself. Your gift was exactly what I wanted. Thanks! You never fail to surprise me. Thank you for such a terrific gift. You made me feel so special when I opened your gift. I knew that you spent time, effort, and energy to make sure it was awesome. Thank you! Thank you for adding to the joy of our wedding with your warm wishes and thoughtful gift. It’s harder and harder these days to get the number of volunteers we need—but you made time in your busy schedule to step up. Thank you! I am blessed to have a friend like you. Thank you for your help. You always know how to make life brighter for everyone you know. It was a great party! You really know how to make good times happen. Thank you for letting me be part of it. Thank you for the unforgettable meal. You’re incredible. If you could see my face right now, you’d see a look of gratitude. Thank you! I’m very lucky to have a friend like you. My deepest gratitude for all your help! Thank you. For all the little and big ways you’ve pitched in…thanks! For my burden-bearing, laughter-sharing, forever-caring friend…a very happy, hug-filled, heartfelt thanks. A big thank-you to you for letting me crash at your place (again) during the conference. You always make me feel just like family. Today I have realized that people who are kind are actually the richest, because they are giving away kindness – something that can never be taken or stolen. Thanks for being kind. Thanks so much for all your help when I know you’re already so busy. I wanted personally to let you know how gratifying it was to receive your kind note of support and encouragement. I was captivated when I received your compliment note and was manifested pleasure reading your beautiful words. Thank you. Looking at how obliged and indebted I am feeling towards you right now, I have realized that kindness is actually one of the greatest weapons any person can ever have. Thank you. Thank you very much for telling me how much you have enjoyed reading my column. I’m so pleased to know that it brightens your day. Your thoughtful note really made me happy that now you are wholly comfortable with me and my family. I would like to tell you that we already miss you a lot and really enjoyed being with you. You are always welcome to stay with us anytime in future. I would like you to know that I was pleased when I received your beautiful and kind note of encouragement and support. Thank you for supporting me all through the ups and downs. I truly appreciate your nice note for my efforts. I really need your support for further endeavors. Thank you again! Thank you for your kind words. If you could see my face, you’d see the smile you put on it. Thank you so much for your encouragement. They mean a lot to me! I would be grateful even if I didn’t write this thank you card, but I wanted to let you know that I think you are cool. If you have any recommendations for our page, please let us know via the Contact page. Thank you.